The nasal cannula is a device used to deliver supplemental oxygen or airflow to a patient or person in need of respiratory help. This device consists of a PVC plastic tube which fits behind the ears, and a set of two prongs which are placed in the nostrils. Oxygen flows from these prongs. 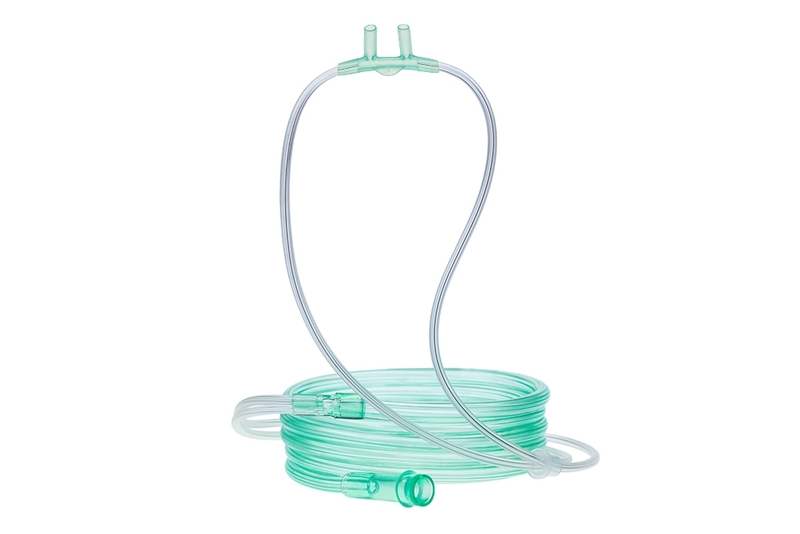 The nasal cannula is connected to an oxygen tank, a portable oxygen generator, or a wall connection in a hospital via a flow meter. Packaging: 100 sets per carton. - Total tube length of 2 meter (can be customize). - Small volume. To be use with 1-6 lpm.